Yesterday, I used my play money at Zecco to buy 66 shares of China Sunergy (CSUN). The purchase price was $3.29 and at the moment when I bought the stock, I had $221 cash in my account, enough to make the purchase which was valued at $217.14. The order went through, as it was supposed. Before the 66-share order, I was trying to buy 67 shares, but it was rejected because of “insufficient buying power”. So I had to lower the number of shares to 66. But that’s not the end of it. As a result of current market conditions, your account requires additional Margin Maintenance. If corrective action is not taken by 12:00 p.m. ET, we may liquidate securities in your account, at your risk, sufficient to bring your account into conformity with our Margin Maintenance requirements. If subject to liquidation, please know the securities will be liquidated “at the market” commencing shortly after the time set forth above (or as soon thereafter as is practicable). If your account has multiple concentrated maintenance or required maintenance margin calls, you may be sold out on the earliest due date for the sum of all calls. Any deficiency remaining following such liquidation will continue to be your obligation. My account was never a margin account. I logged into my account and saw 6 cents debt. II had enough fund yesterday to buy the stock. Where did the debt come from? Apparently, in addition to the $217.14 for the stock, I was also charged $4.50 commission for making the trade. But I have been using this account for more than 1.5 years and I was never charged with a commission. Why all the sudden it came up now? So I decided to give them a call to find out exactly what’s going on. How does Zecco Trading apply the $2,500 minimum account balance requirement to the free stock trade offer? 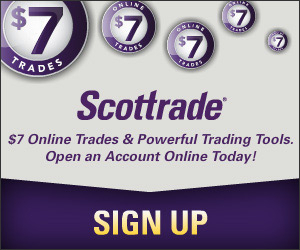 It’s simple – you get 10 free trades every month in each account with $2,500 or more of account net equity. If you have more than one account of the same type (individual, joint, Rollover IRA, Traditional IRA, and Roth IRA), you’ll get free trades in the first account of each type. $2,500 minimum account net equity refers to your Start of Day (SOD) account net total value of securities plus cash. If your account drops below the minimum, you only need to raise your net equity back to $2,500 or more and you’ll get free stock trades again next month. For instance, your Start of Day account value reaches $2,500 on October 15th, you receive 10 free trades for the rest of October, and you’ll receive 10 free trades per month thereafter as long as you maintain a minimum balance of $2,500. If your account balance falls below $2,500 on October 28th, you need to raise your account value back to the $2,500 minimum to get another 10 free trades in November. If your account value reaches $2,500 again at SOD November 6th, you pay $4.50 per trade from November 1st till November 5th but will get 10 free trades on November 6th. Seriously, this is probably the most stupid rule I have ever seen because in some days of the month, I can trade for free but in other days, I cannot, totally depending on the market value of my stocks on the day before I make the trade. And if I don’t have enough fund in my account to cover both the trade and the commission, why the order went through? Should it be rejected too? My first order of 67 shares was rejected because of the exact reason of not having enough fund. Anyway, I ACHed $1 to my account to cover the debt. I probably won’t use this account again any time soon. I am getting sick of having to deal with them. There was A LOT of controversy on the Zecco forums when they made this decision. A few times the CEO/President/some-executive made a video cast explaining why it had to happen. In October Zecco had free unlimited trades for everyone regardless of your balance. Get your balance up to $2500 of play money (is it really play money at this amount?) and Zecco’s actually not that bad. If you can get over the hurdle that there are minimums for the free trades and even trades with cost are low-cost, Zecco’s system works pretty well. Just go ahead and try to find these benefits with another discount broker. Zecco does have a lot of areas to improve upon, but to be fair, the $2,500 requirement has been around for a while now and has not been changed. I’m actually surprised you didn’t know about it. “10 free trades/month with $2,500 min” is on all their banners as well. I can imagine about a million other ways that Zecco could have resolved this situation, none of which included threatening your positions over SIX CENTS. Wow. Many people but you can complain about this. You’re a money blogger. Plus, I’m seeing your big Zecco ad banner saying “$0 stock trades 10/month with $2,500 min. $4.50 thereafter” on the right as I’m writing this comment. aa: As I said, it’s my own fault that I overlooked what exactly $2,500 minimum means. I don’t mind paying the commission since the rule is there for a long time and I simply ignored it. I am just not very happy with how the situation is handled. I think it’s a little bit too aggressive over six cents. But that’s Zecco, who even took back a few cents of trial deposits. BTW, do you really think they care about my complain? This isn’t the first time I complained about their problem and I can tell you that most of my complains have fallen on deaf ears. To clarify, you just have to reach the $2,500 level *once* anytime during the month, and you get the 10 free trades for the rest of the month no matter how low you drop. It then resets on 1st of the next month. This is just how they avoid losing $$ on people with $100 accounts. I agree, it is stupid that they didn’t just reject your order. Too me, I always just shrug and remember why it’s our “play” account, right? I wouldn’t keep $100,000 there. Seems like everything worked out though? You went negative $1, and now you move in $1 and all is ok? Jonathan: Thanks for the clarification. However, when I read “For instance, your Start of Day account value reaches $2,500 on October 15th, you receive 10 free trades for the rest of October, and you’ll receive 10 free trades per month thereafter as long as you maintain a minimum balance of $2,500.” it doesn’t look like to me that I can get free trades for the rest of the month by only reaching the minimum just once, unless I misunderstood what “maintain a minimum balance of $2,500″ means. If that’s indeed the case, I suppose they could make it much clearer with a much simpler example, like the one you used. Besides, when I asked the CSR on the phone did confirm my theory of how it works. Of course, this isn’t the first time the people I talked to didn’t know exactly what’s going on. It happened everywhere. At different time you talk to different person, you get different stories. The first part talks about the rest of October (i.e. the current month). The second part talks about the months after (i.e. all future months).